we are reducing our numbers, and have stock of all ages for sale. 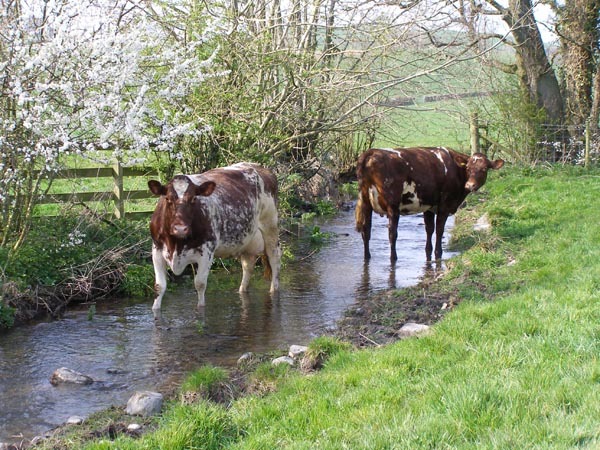 Here are a few recent photographs of cows from the milking herd, two days after turnout in April 2007. These are not posed pictures of show cattle, just a selection of snaps taken in the field. You are very welcome to come and see us and discuss the herd at any time. 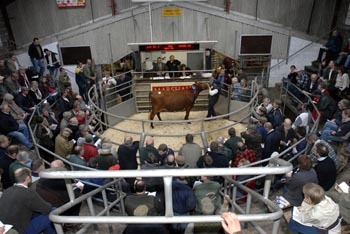 Apologies to Shorthorn breeders (and other farmers out there) if the wording on the captions sounds a bit non-technical. As "web mistress" I take full responsibility for the content. Please feel free to talk to James who can talk the right talk. She was born 23rd August 1996, and had her 9th calf on 9th September 2006. She is in calf again to Hooton Fair Perfection and due in September 2007. 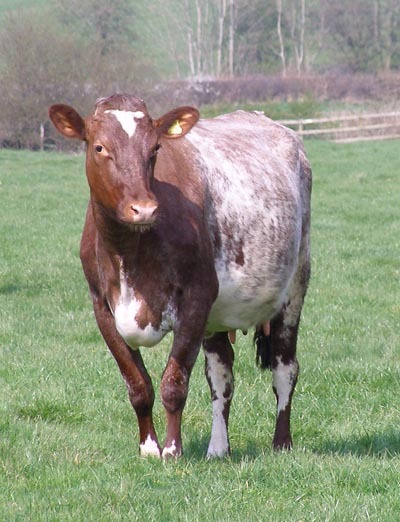 Geri is a superb example of a modern Dairy Shorthorn, demonstrating the longevity, fertility and wearability of the breed. Starlet 56 was born 2nd July 2002, and had her 3rd calf on 31st October 2006. 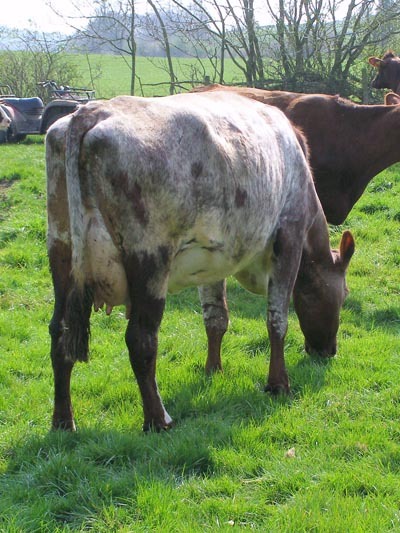 She is due to calve her fourth in September 2007. She was born 17th March 2004, and had her first calf 3rd August 2006. Her second calf is due in August 2007. 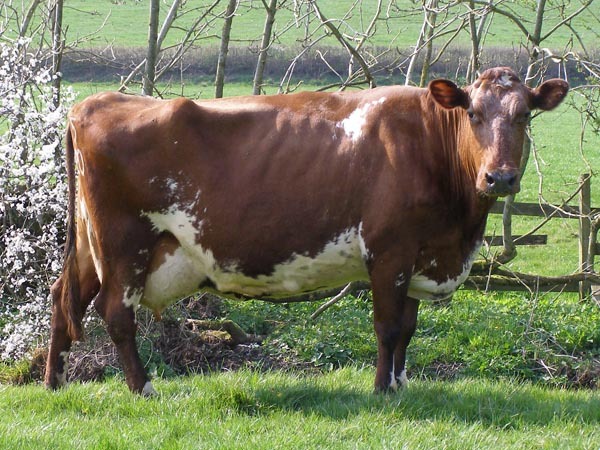 Strickley Shorthorns look good from any angle! Shorthorn Society's Autumn Show and Sale at Chelford on Saturday 4th November. We are now in Organic Conversion and are reducing our numbers, so this was an ideal opportunity to let buyers see some Strickley stock. There was a very good trade and we were pleased to have Strickley Lily 6th placed as Reserve Champion. We were even more pleased when she achieved the highest in-milk Shorthorn price! The results and photographs will be on the Frank Marshall website soon, so click on the link below. so please look at it and contact us for further details.